Showtime has announced that the seventh season of the Emmy and Golden Globe winning hit drama Homeland will kick off on Sunday, February 11 at 9 p.m. ET/PT. Starring Emmy, Screen Actors Guild and Golden Globe winner Claire Danes and Emmy and Tony winner Mandy Patinkin, the cast of series regulars also includes returning actors Elizabeth Marvel, Linus Roache, Maury Sterling and Jake Weber, and joining the cast this season is acclaimed actor Morgan Spector (Boardwalk Empire). The network's top-rated drama series, Homeland is currently filming in Richmond, Virginia. Homeland is an edge-of-your-seat sensation. CIA officer Carrie Mathison (Claire Danes) is tops in her field despite being bipolar, which makes her volatile and unpredictable. With the help of her long-time mentor Saul Berenson (Mandy Patinkin), Carrie fearlessly risks everything, including her personal well-being and even sanity, at every turn. You won't be able to turn away from this gripping, emotional thriller in which nothing short of the fate of our nation is at stake. Season 6 took place between the U.S. presidential election, where the first female President of the United States is elected, Elizabeth Keane (Elizabeth Marvel), and the inauguration. At the end of last season, following an assassination attempt on her life, President Keane (Marvel) broke her promise to Carrie (Danes) by arresting 200 members of the intelligence community without bringing charges against them, including Saul Berenson (Patinkin). As season seven begins, Carrie has left her job in the White House and moved back to D.C. and is living with her sister Maggie (Amy Hargreaves) to take on the Keane administration and secure the release of the 200. While no official end-game has been announced, Homeland executive producer Alex Gansa hinted that Homeland could end after Season 8, which could be shot in Israel, bringing the show back full circle since it's based on the Israeli series Prisoners of War. Produced by Fox 21 Television Studios for Showtime, Homeland was developed for American television by Alex Gansa and Howard Gordon, and is based on the original Israeli series Prisoners of War by Gideon Raff. Along with Gansa and Gordon, the executive producers for season seven will be Chip Johannessen, Lesli Linka Glatter, Patrick Harbinson, Claire Danes, Michael Klick, Ron Nyswaner, Gideon Raff, Avi Nir and Ran Telem. The series has been a globe-trotting affair, with Homeland Season 4 shot in South Africa, Season 5 shot in Germany and Season 6 shot in New York City. Showtime is currently available to subscribers via cable, DBS and telco providers, and as a stand-alone streaming service through Apple, Roku, Amazon Google, Xbox One and Samsung. Consumers can also subscribe to Showtime via Hulu, YouTube TV, Sling TV, DirecTV Now, Sony PlayStation Vue and Amazon Channels. The network's authentication service, Showtime Anytime, is available at no additional cost to Showtime customers who subscribe to the network through participating providers. Showtime hasn't officially confirmed that they will renew Homeland for an eighth and possibly final season, but hopefully we'll find out more soon. 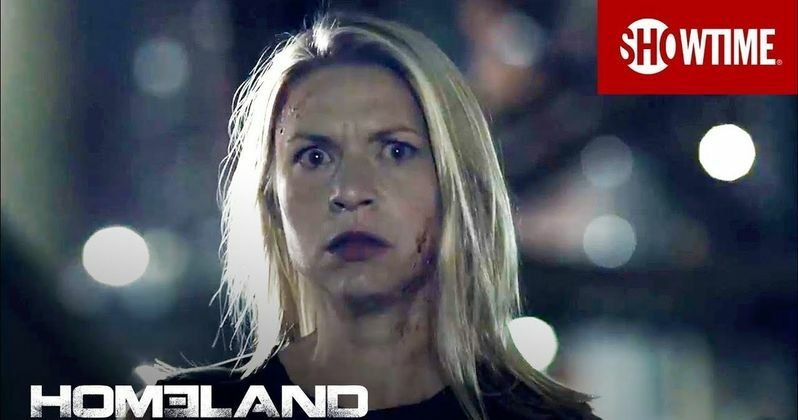 Until then, take a look at the first trailer for Homeland Season 7, courtesy of Showtime YouTube.